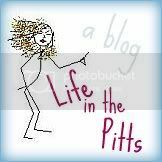 Life in the Pitts: I turned around, and she was gone. Syndil did great at Target. We talked about how she didn't have to go in the cart, so long as she listened and stayed close. And she did. She did great. When we were finished, we ate some lunch in the little food court. Basically just Starbucks. 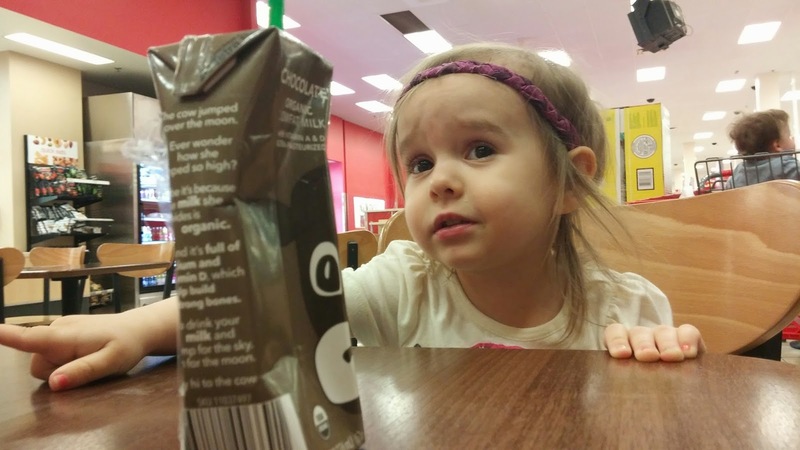 She wanted chocolate milk. Leo had been riding in the front of the cart, and I had his carseat stashed in the back. After nursing him, I put his carseat on the table, and strapped him in. "Ok Syndil, stand right here and touch this chair. I'm putting Leo's carseat in the back of the cart." I plopped him in, turned around, and she was gone. I ran around the cart, looked under the table. She was gone. Gone. In 3 seconds. I yelled "Watch him!" to the barista, and took off. She wasn't by the cash register. She wasn't in the dollar section. I spun around desperately, and caught the flash of a little silver skirt running towards the parking lot. I caught her. She was giggling. I was shaking with fury. I carried her inside like a sack of potatoes, not gently. We grabbed Leo, and left. I was planning the spanking of a lifetime. I snapped Leo's carseat in the car, and then walked to the trunk where I had perched her, "Don't fall," before stomping over to put the groceries in the passenger seat. I explained that her running away made me scared. So scared. And she could have been hurt, or lost, and I couldn't find her. Then I started crying. "Yes. I'm sad that you ran away. I'm sad and I'm scared." "Is ok. Dada come, and pick you up, and kiss you. Ok?" "How about you kiss me." And we came home. And she is napping. And I just can't do this. This parenting thing? It is too much. The highs are too high, the lows are too low, and nothing is safe.